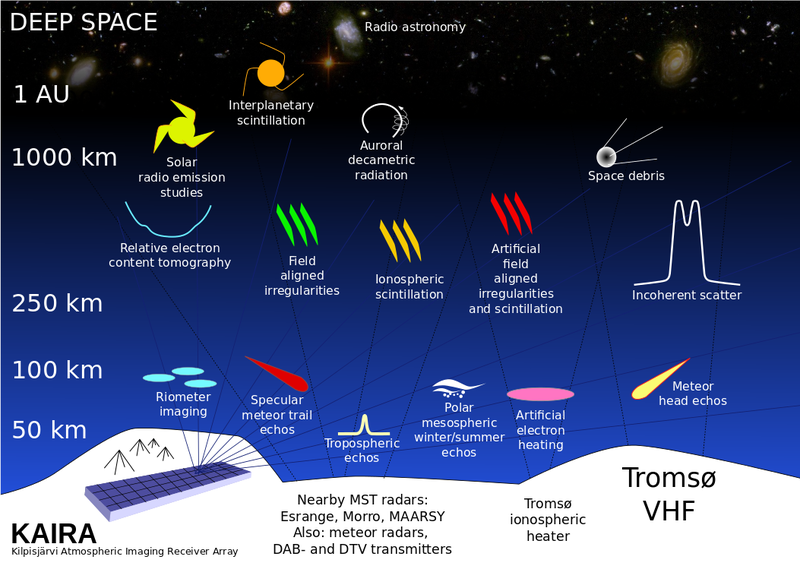 As one might guess from the name, the Kilpisjärvi Atmospheric Imaging Receiver Array is located in Kilpisjärvi. For those of you who didn't already know, Kilpisjärvi is a small border town located in the top-left-hand corner of Finland. It is usually very easy to find on a map, as it is quite close to the corner of the three countries: Norway, Sweden and Finland. 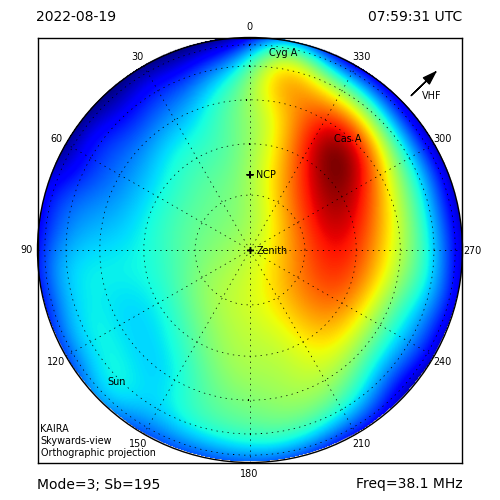 But possibly less familiar are the related LOFAR and EISCAT projects associated with KAIRA. 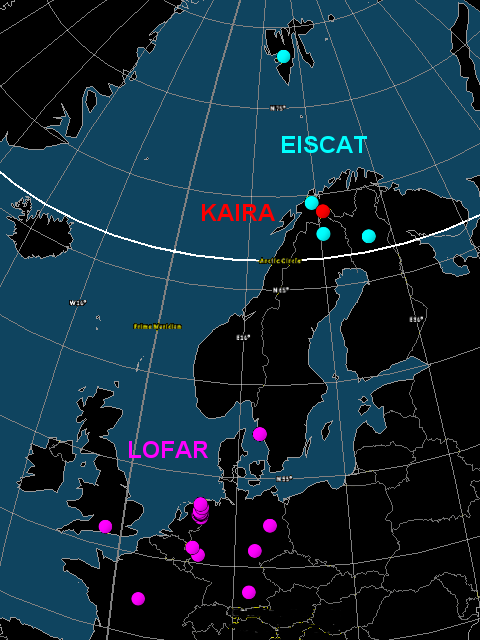 This map marks the sites of these project with EISCAT in pale blue and LOFAR in magenta. KAIRA itself is marked in red. 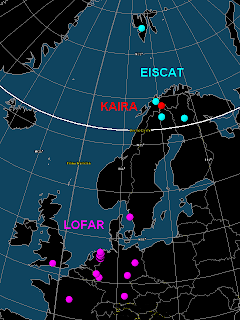 At a latitude of +69 degrees north, KAIRA is located well above the Arctic Circle (marked in white), making its association with LOFAR a most northerly one indeed. There'll be more about LOFAR and EISCAT over the coming weeks, so be sure to visit this weblog again soon.